If you’re planning a home improvement project this season, you should focus on your bedroom windows. It might be time to replace your old, small units with something newer and larger. Big replacement windows in Fontana, CA, offers a number of benefits to you and your living space. ClearChoice Windows and Doors, Inc, your premier window company, shares some of them. 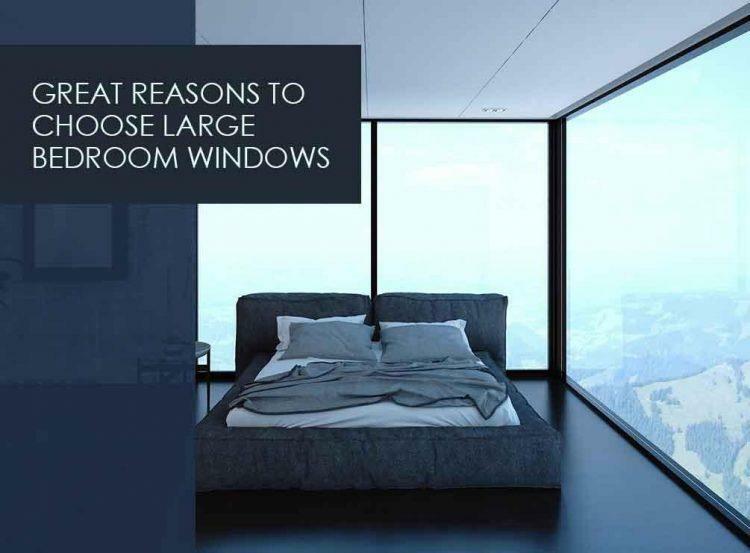 Large windows are great since they let in a copious amount of natural light to your bedroom. This provides the room with an open and more spacious look. This is especially handy in the case of small-scale bedrooms. This same access to natural lighting, in fact, can also help improve your home’s energy efficiency. The abundant California light streaming through your large windows can reduce reliance to artificial lighting, saving you energy. Too much light can mean increased temperatures, however, so be sure to invest in energy-efficient windows in Greater Los Angeles. ClearChoice Windows and Doors, Inc can help you with this through our selection of high-quality units from Simonton®. These windows come with advanced low-E glass, which helps cut back radiant heat transfer to keep your bedroom cooler and more comfortable. It also protects your interior from extensive sun damage. Since Simonton windows are ENERGY STAR®-certified, you can ensure optimum comfort and energy efficiency. If you’re lucky enough to have bedroom with a spectacular view, you should make the most of it. You can do this through large windows. They offer a more seamless connection between your bedroom and the outdoors, allowing you to let nature’s beauty in. Simonton picture windows from ClearChoice Windows and Doors, Inc are perfect for this. With their slim frames and expansive glass, they can exceptional focal point in your bedroom. Bigger windows means enjoying more refreshing breezes in your bedroom. Aside from cutting back your air conditioning bills, large replacement units can improve the airflow inside the space. This means reduced humidity levels, which prevents mold growth and allows for better indoor air quality. Whether you need wood, vinyl, or fiberglass windows in Fontana, CA, for your bedroom, turn to ClearChoice Windows and Doors, Inc. Our range of units is fully customizable, letting you choose from extensive colors, sizes, and shapes. We’ll maximize your space’s good looks and comfort with our top-tier selection. Call us today at 1-844-224-1112 to request your consultation.